Hello! Let’s talk eco friendly lunch supplies today. I have gotten much better at packing my own lunch for work since going back after being on maternity leave, but some of my lunchware leaves a lot to be desired. We have a lot of red stained plastic tupperware boxes that I’d like to replace with something a bit more durable once they wear out. I’d actually like to replace all of our plastic tupperware as we go with glass and stainless steel containers, but at the same time I don’t want to throw out perfectly good tupperware, so it’s going to be a bit of a long process! Reusable Cutlery Set (£12.50) – a pretty little cutlery set perfect for stashing in your bag or in your desk drawer. 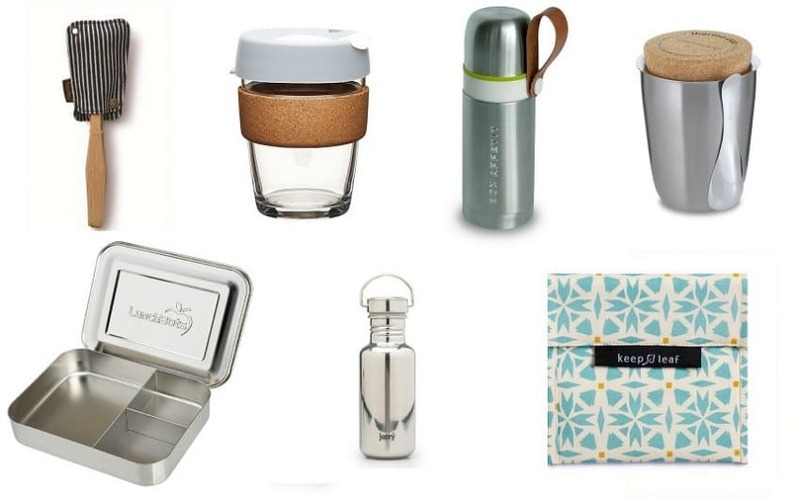 KeepCup (£16) – like treating yourself to a takeaway tea or coffee at work? Why not invest in a beautiful KeepCup? Some coffee shops will even give you a discount for using a resusable cup, so over time the cup will eventually pay for itself. Win win! Black+Blum Thermos Flask (£14.95) – if you’re the thriftier sort, then here’s a stylish flask for your commute. I’m quite partial to a cuppa on the bus to work of a morning so for me this is an essential! 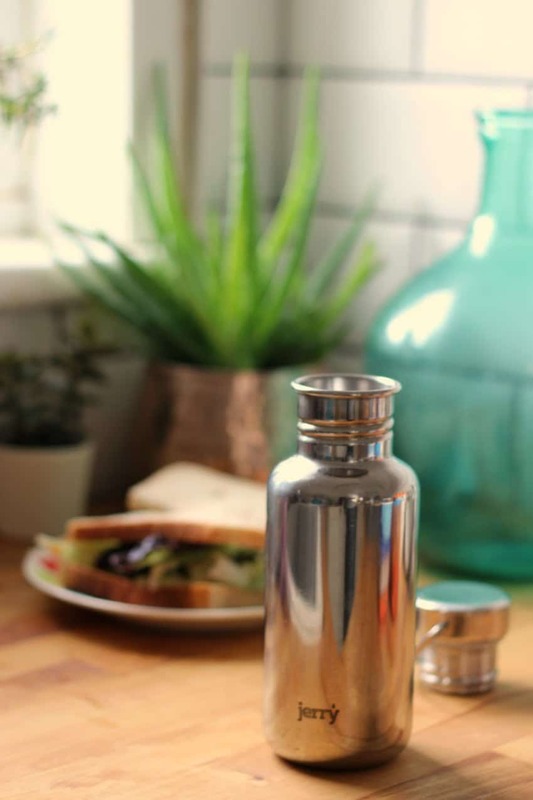 A flask is also handy when you’ve having the kind of day that requires a cup of tea constantly to hand, but you don’t want to be walking back and forth to the kitchen every half an hour to make tea. Black+Blum Thermo Pot (£29.95) – I have my eyes on one of these stainless steel beauties. I eat a lot of the previous night’s leftovers for my lunch. In fact, we’ve got into a habit of making a little bit more dinner so that be both have enough to take to work the next day for lunch. Sometimes I use tupperware, and sometimes I use a glass jar to transport my food but this looks sturdier and has the added bonus that you can heat up your food in the morning and have a hot lunch at work without having to wait in the microwave queue. LunchBots Stainless Steel Lunch Box (£32.00) (10% discount with first order) – this stainless steel bento box is exactly what I’d like to replace my tupperware sandwich box with. It’s perfect for fitting in a sandwich and a couple of snacks on the side. Jerry Bottle (£17.99) – Jerry Bottles are the ultimate water bottle. Beautiful. Plastic free. Leak proof. And 100% of profits go to funding clean water projects around the world. On the base of each bottle is a set of co-ordinates pinpointing exactly which village your purchase is helping to fund clean water in. Each bottle also comes with a lifetime guarantee. Water bottles don’t get better than this. Keep Leaf Sandwich Bag (£6) – if you don’t like carrying a lunchbox around then a good alternative is a sandwich bag. This reusable sandwich bag makes for a good eco friendly alternative to plastic zip lock bags or cling film/tin foil. What are your favourite eco friendly lunch supplies? ps: you might also be interested in my beeswax food wrap DIY as a homemade alternative to cling film.